The Johns Hopkins News-Letter is the student newspaper of the Johns Hopkins University in Baltimore, Maryland. Published since 1896, it is one of the nation’s oldest continuously published, weekly student-run college newspapers. In addition to our online publishing, the print edition of The News-Letter comes out every Thursday during the school year. It is distributed free of charge to the Johns Hopkins campuses in Baltimore and to various other locations around the city. 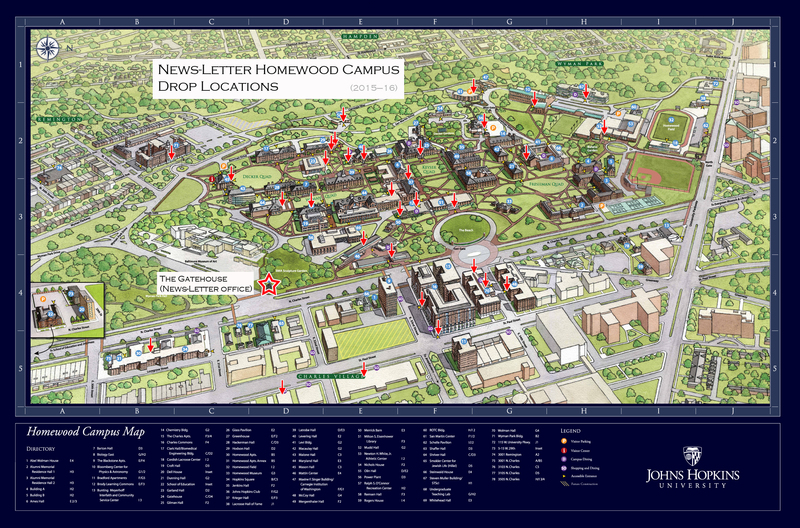 A map of the drop-off locations at the Homewood Campus can be found here. Information on advertising in print and online can be found here. For advertising inquiries, contact business@jhunewsletter.com. For general inquiries or info on how to join, contact managing@jhunewsletter.com. Got a news tip or a story that should be covered? Send it to news@jhunewsletter.com, and include your contact info so someone can reach out to you for more information. The News-Letter is dedicated to publishing an exemplary student newspaper according to the strictest standards of journalistic integrity, for the purpose of informing the undergraduate students of Hopkins and for gaining knowledge and experience in the field of journalism. The staff understands the responsibility that comes with contributing to this publication and aims to find the truth and report it fully, fairly and accurately. Provide fair and accurate reporting of news in many areas related, but not limited to, the Homewood campus and Charles Village community. Provide an open forum for expression and discussion within the Hopkins community. Serve as an advocate for students, student ideas and student causes. Entertain the student body through engaging, interesting content. Serve as a permanent, reliable record of Hopkins and the lives, actions, sentiments and passions of its students at the time of publication.